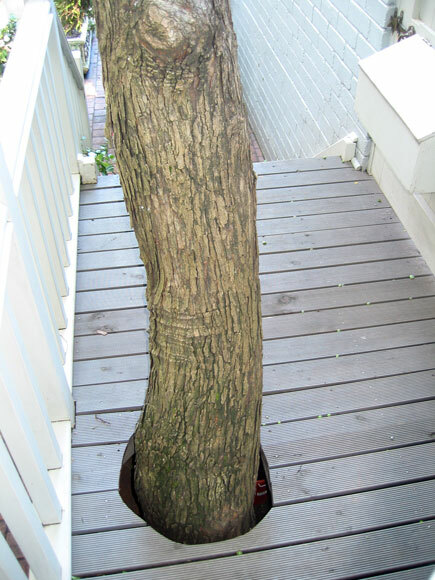 Towradgi Street, Narraweena: If you do not behave yourself, you can go and rake up our backyard leaves. 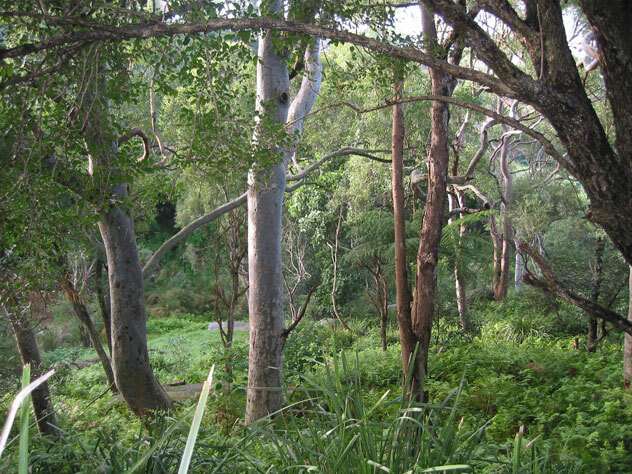 It’s hard to believe that this dense bush is just a couple of minutes’ drive from the harbour bridge. Slash your way through it in Forsyth Park, Neutral Bay. 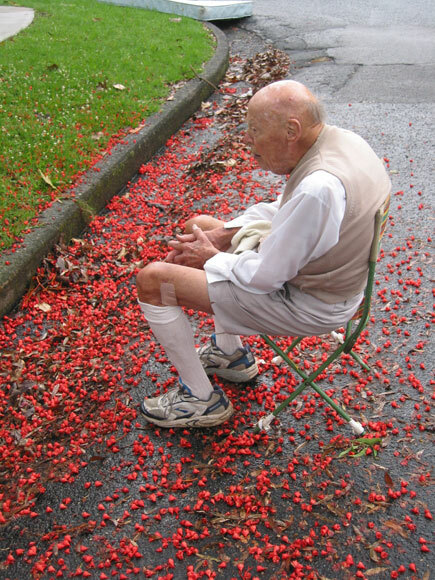 Darley Street, Neutral Bay, rolls out the red carpet for a tired Alan. 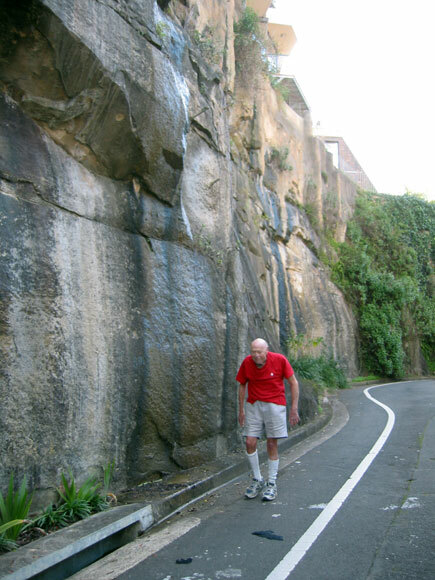 If you like living on the edge, try the cliff wall of Winter Avenue, Neutral Bay. 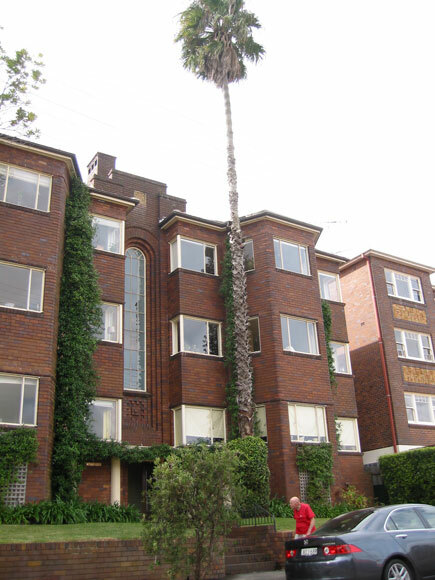 If you lock yourself out of your top-floor apartment in Aubin Street, Neutral Bay, there’s a simple solution. 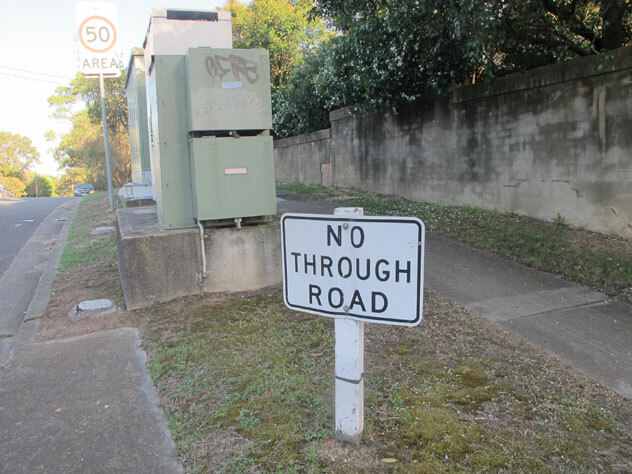 It’s best to keep to the right of our path’s tree in Ben Boyd Road, Neutral Bay. 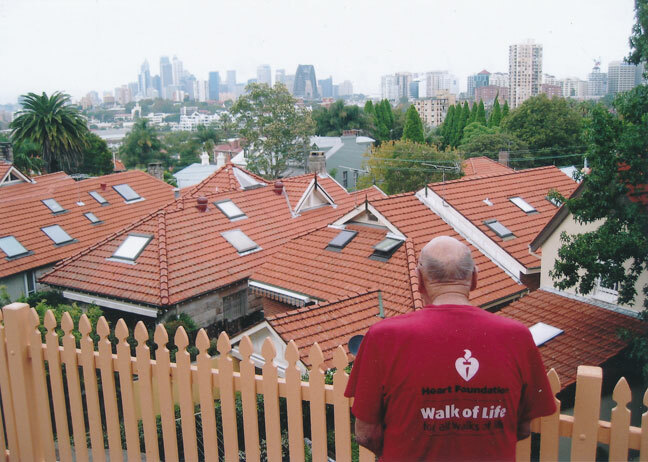 Head down the steps at the lower end of Phillips Street, Neutral Bay, to admire this mosaic. 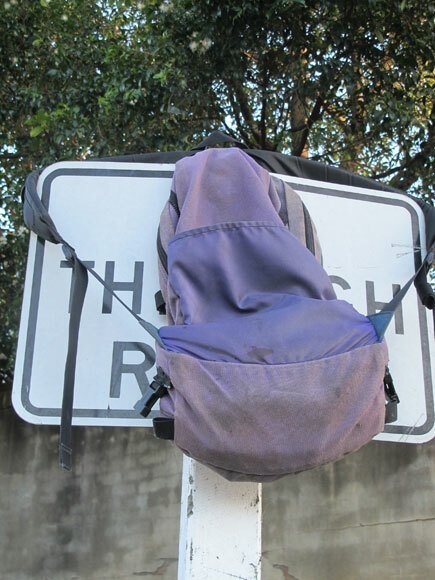 I climbed to the very top of this pole in Frith Avenue, Normanhurst, to show off my walking backpack. It didn't require too much effort. 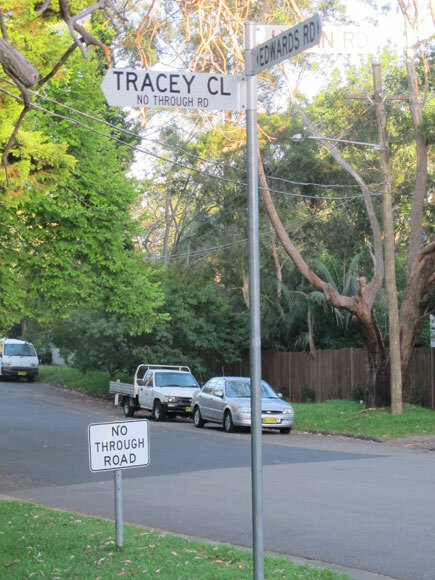 Low no through road signs are becoming the norm in Normanhurst, but Tracey clings to the old style.